This line has appeared and re-appeared in book upon book about wine, about wine. There was a time when I myself was guilty of confusing the two. Further examination into the matter however settled the confusion: The French say “Bordeaux,” the English say “claret,” and I say let’s call the whole thing off. Turns out a bottle of Bordeaux and a bottle of claret taste strikingly similar. Then again, what is taste? Well, it is a matter of haste that we understand taste or what then shall we do with all these point systems? What use would we have for common descriptors, such as: “copius glycerin,” “succulent,” “ripe cherries,” and “gunflint.” What would we do with our “mid-palates”? “Do I really know what I’m drinking and why? For that matter, do I know that my own tastes are authentic?” (See page 139 for Basil Fawlty quote). Osbourne at one point concludes that what he was searching for in his own taste may be nothing more than a voyage, “Out of childhood” and into the “unnatural tastes of perverted (but sublime) old age!” Sweet to dry, simple to complex, certain instead of ambiguous. I admire this line of thinking, but consider this: children, when given the opportunity to put anything in their mouths tend to swirl and explore the texture, taste, sweetness, tartness, of any such object before ultimately swallowing, be it a penny, a bar of soap or a piece of gum. Therein one may conclude that we who swirl within the caves of our mouths the contents of our wine, looking for cherry, oak, and chocolate, are merely children (at heart) searching for that old familiar copper penny or fruity piece of juicy delicious gum. A good wine, or a bad wine for that matter may therefore serve to jog memory, and like an old, familiar perfume, wine has the power to stir the nostalgia of forgotten moments, people, places and emotions. Therefore, we drink to forget and we drink to remember. 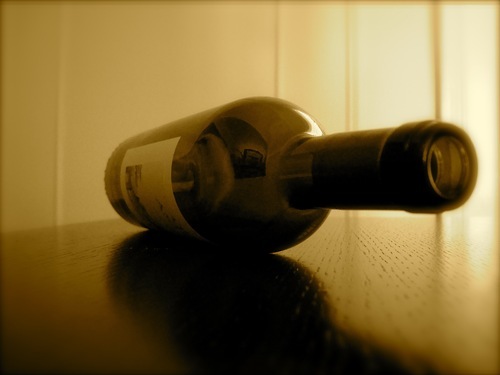 Every bottle of wine tells a story—some worth telling, some not. Let it be writ, here, that I begin my journey through the myriad books, wine-blogs, wine-publications, wine-propaganda and of course wine itself, bearing this in mind.